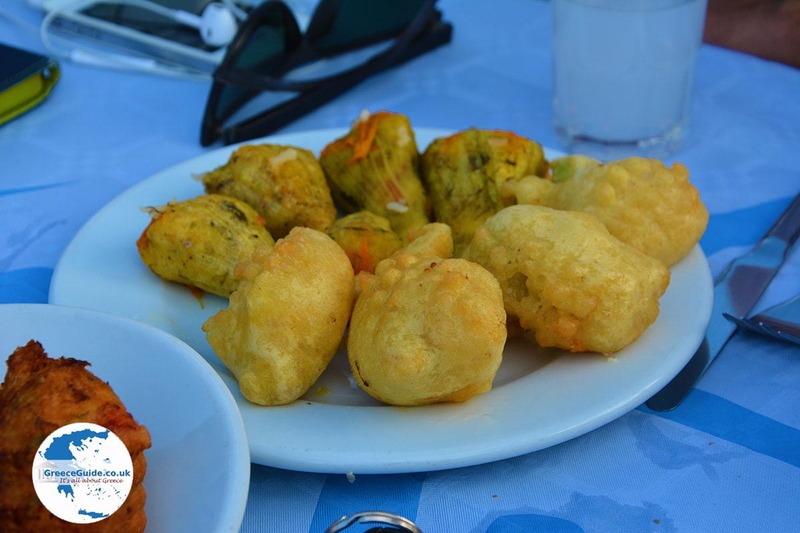 Mylopotas. 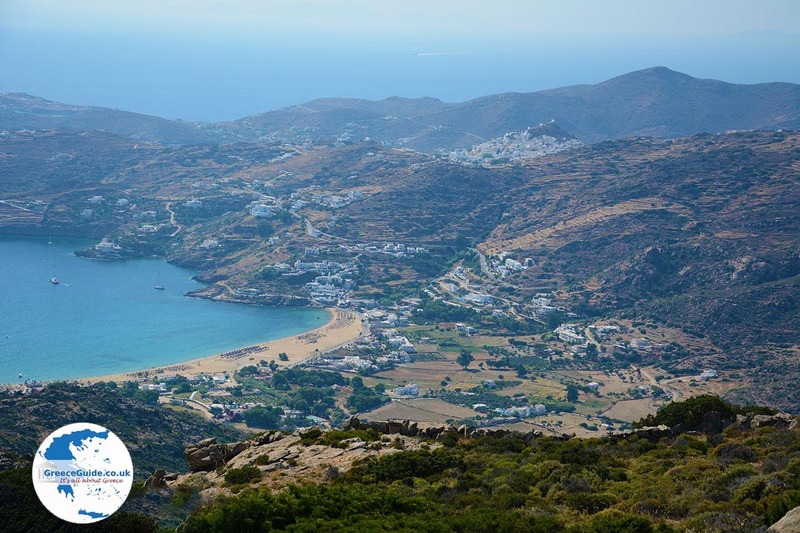 Mylopotas is a small coastal village 2.5 kilometers (1.5 mi) southeast of Ios town (a 20 minute walk from Ios town). 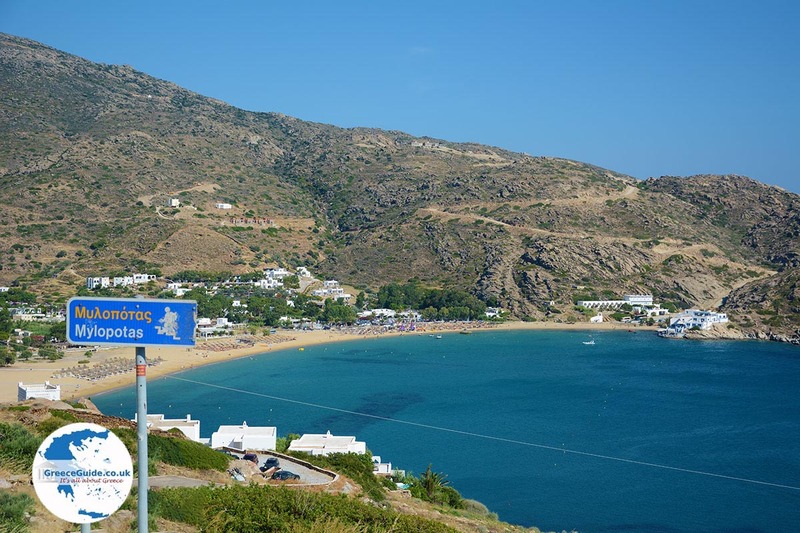 Mylopotas is located in a spectacular bay, with a beautiful sandy beach. 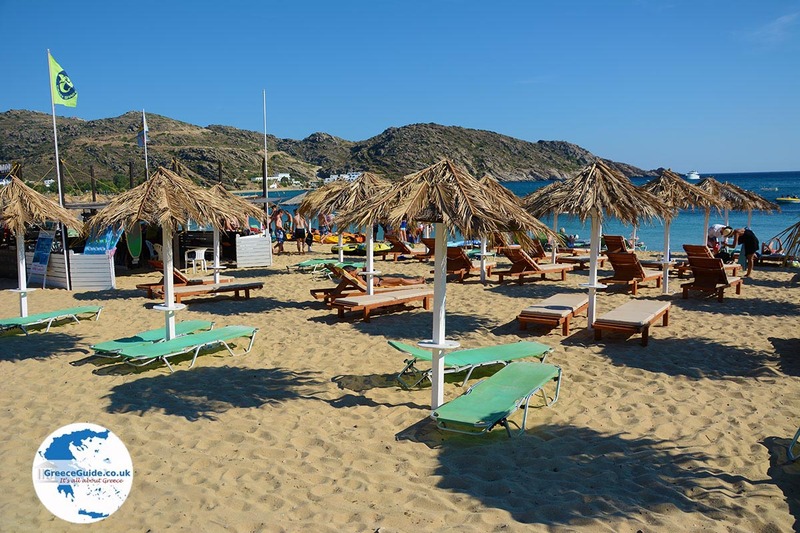 On the big, wide beach, sunbeds and umbrellas can be rented. All kinds of water sports are available here. 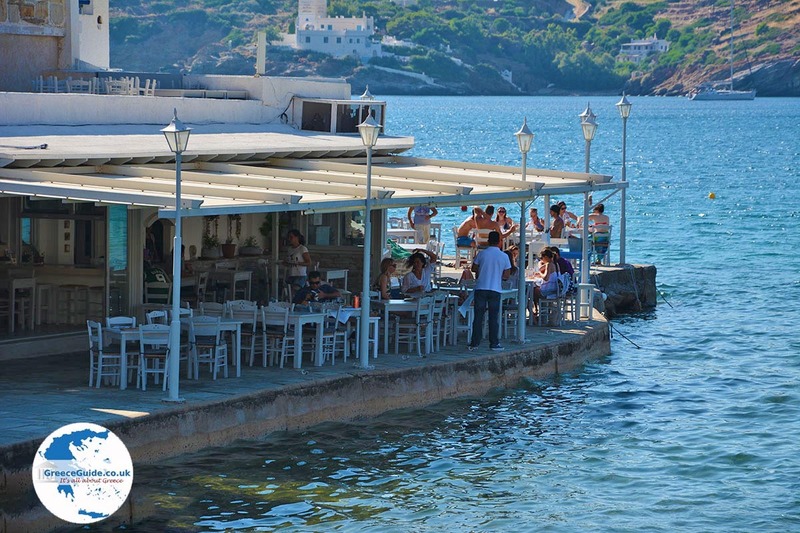 Located in Mylopotas, you’ll find many hotels, apartments, taverns, beach bars, etc., including a very good restaurant called Drakos which lies at the quay at the end of the beach. 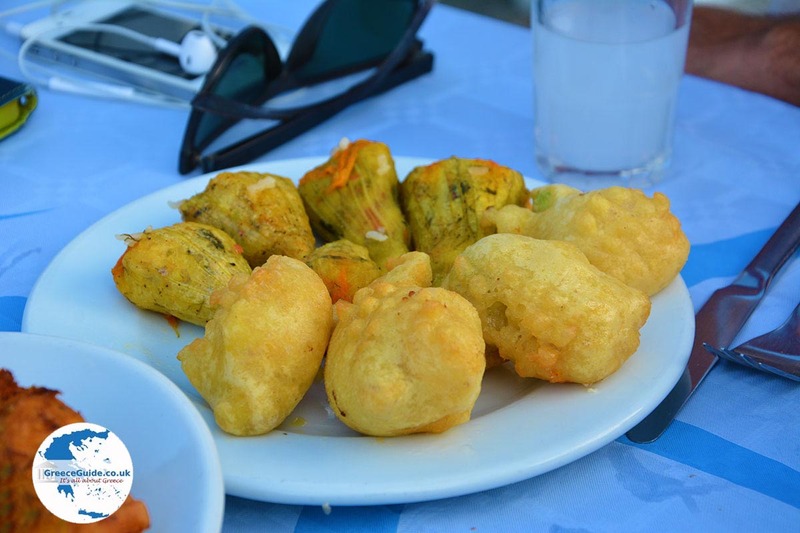 Drakos offers delicious seafood specialties. 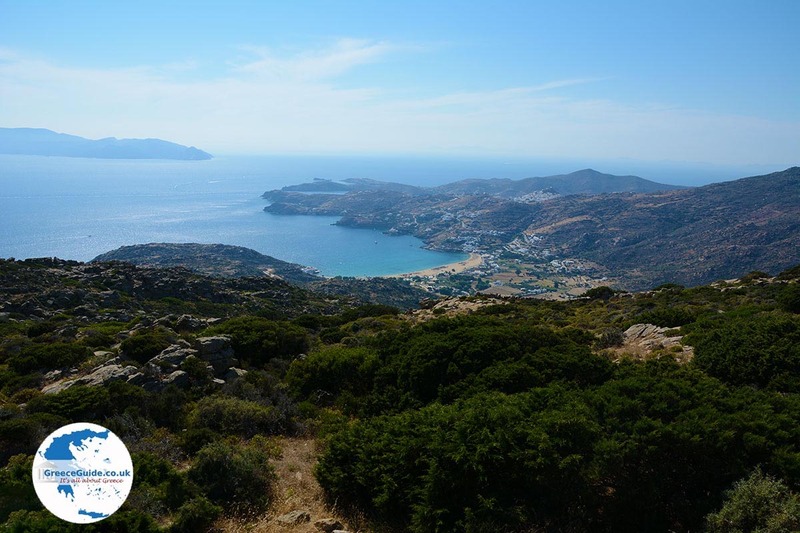 Mylopotas even has a campsite, fifty meters (165 feet) from the beach. Many young people come here to vacation because the nightlife is very good, so you'll see many young people. 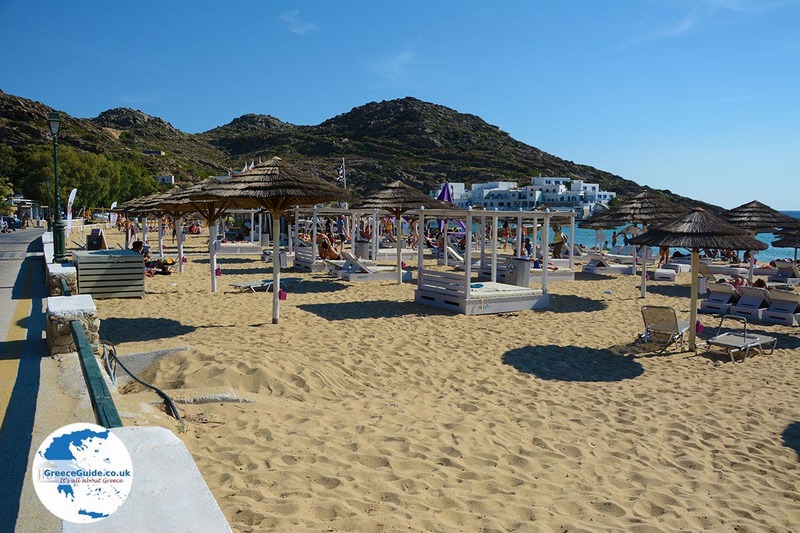 At certain parts of the beach you will see mostly families and older vacationers. Because the beach is very large, it never gets completely full and it is perfect for all ages. 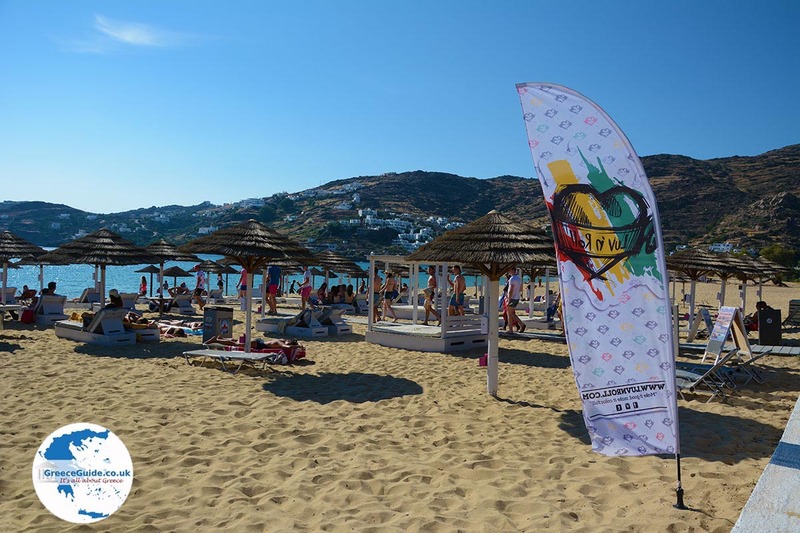 The “Far Out Club” is most famous on the beach, it hosts all kinds of games in the pool and has a range of sports facilities, beach volleyball, a dive center, a cyber café, a cinema, etc. 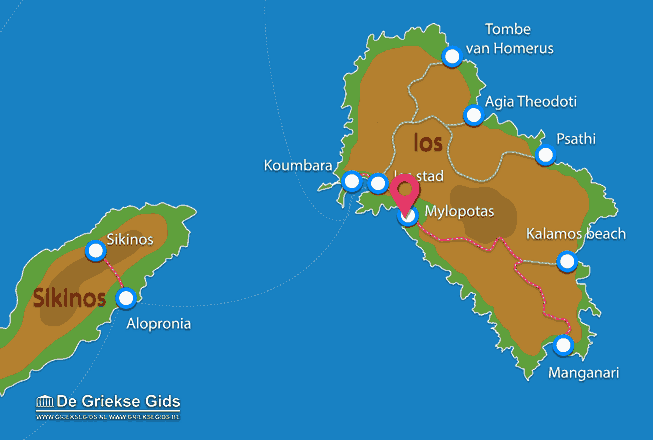 Ios: Where on the map is Mylopotas located?